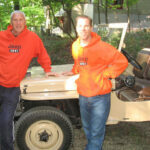 My 1955 M38A1 was purchased by my grandfather in the early 60’s at a municipal surplus auction outside of Detroit. It was taken to the family farm in Northern Michigan where it was used for many years as a recreational vehicle. I remember going up to the farm during the summer or during hunting season and being able to drive the Jeep through the wooded trails. 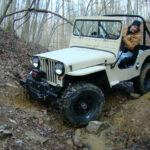 As a boy at the age of 10, the Jeep introduced me to the concept of a manual transmission. I never made it through the gears very cleanly because my legs didn’t have the length to completely depress the clutch pedal. Nevertheless, I was driving; and that was something pretty special for a young boy. The Jeep never ran much if we were not up there to use it and every year we tried, it became harder and harder to get it started. One year, we parked it in the corner of the barn and returned home. In 1994, my grandfather lost his fight with Cancer. 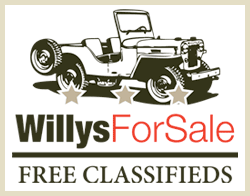 In his Will, he left me his old hunting rifle, the hand tools in the garage and the 1955 Willys Jeep. 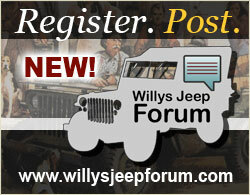 As the years passed, the desire to restore the Jeep grew. On Labor Day weekend in 2011 my father and I drove up to the farm, pushed the Jeep out of the barn where it had sat for close to 20 years, loaded it onto a trailer and brought it home to begin its restoration. 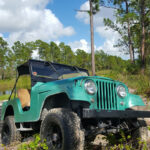 After two years and with the assistance of my father, uncles, and other grandfather; and with the loving support of my wife; I was once again able to drive the Jeep through the wooded trails near our house. I am much older now, my legs are a little longer, but I still feel as excited as I did as a 10 year old boy when I get behind the wheel. The last pic is of me taken in 1989 at our farm. “Breathing New Life” into the old girl! Bravo! I hope you keep her and pass it onto the next generation! Whoa, Dan. Why do you have to be a downer? 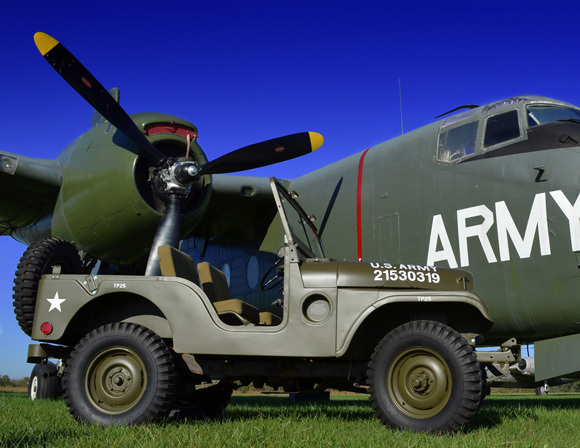 The pre-restoration paint scheme in the old photo was in no way original to the vehicle and there was no indication that the jeep ever served in the Navy. I sandblasted every part to bare metal which revealed layer upon layer of OD green paint. No light grey, no blue-grey, no battleship grey, no USMC forest green, just OD. Now I understand the Navy obtained jeeps from the Army and USMC which were OD from the factory, but I would have to imagine it would have received a paint job far better than the hack job you see in that original photo. In my opinion, this was born an Army jeep and I did bring it back to something it actually is. So I am sorry if my restoration troubles you, however I thank you for your “comment”. Looks great but always troubles me when people “restore” something to what they want it to be over what is actually is. 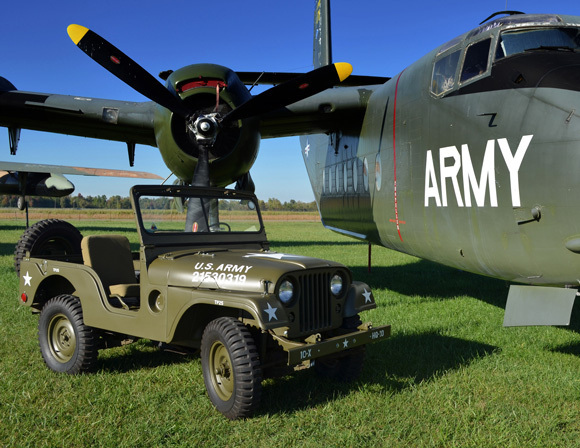 There are a 1,000+ Army Jeeps over one Navy model out there and as in this case, might have just as well used a CJ5 and put M38 parts on it if your going to make a replica Army or that dreaded dine-a-dozen USMC Jeep that’s always at a show. 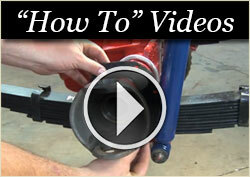 Nothing draws our attention, admiration, or shines more at a car show than a great frame off restoration. 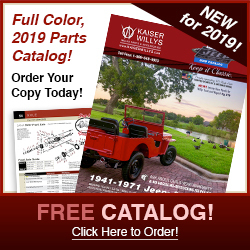 I’ve restored many antique cars and trucks over the years and learned early that nothing gives a better return on your investment as originality . Beautiful restoration, and your story about reaching the clutch reminds me of my “learning to drive on the farm” experiences of 50+ years ago. Do you still have the 5 slot wheels from the pre-restoration pics? 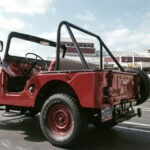 I’m looking for two more to match the ones on my current project, a ’65 CJ5. 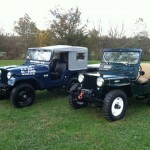 What a surprise to scroll down and find your Jeep in Navy numbers!! Are they original? 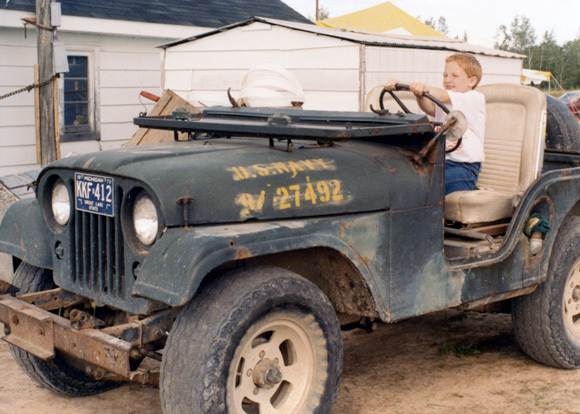 I always love stories about the family Jeep memories. When my kids were small they would sit in the passenger seat and shift the floor shifter when I pressed the clutch. C7 Caribou, not C5. 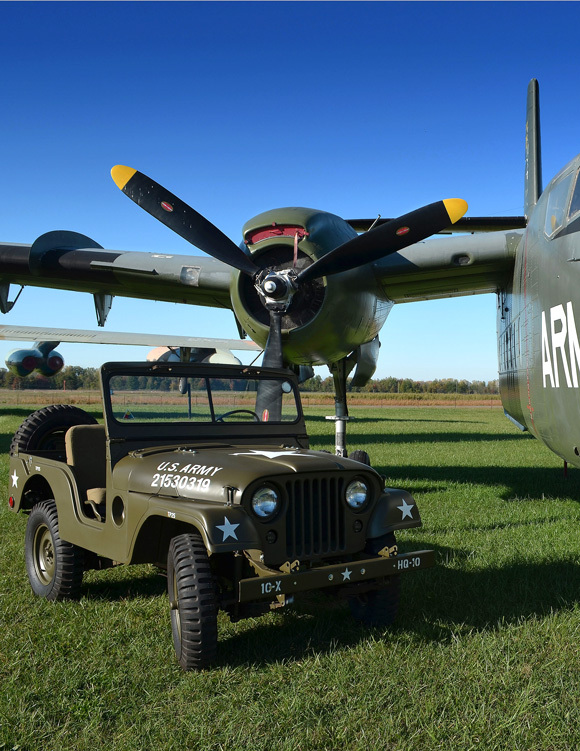 Still a beautiful jeep and airplane. What a beautiful job on the jeep. I think the aircraft was an Army C5. I made a few parachute jumps from that plane. It could land anywhere.